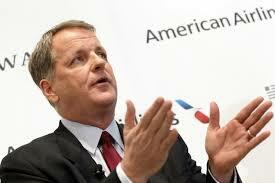 American Airlines CEO Doug Parker during the Annual General Meeting of International Air Transport Association (IATA) mentioned that the ticket prices will become more expensive considering the fact that the airlines will reduce capacity in order to keep the fuel costs down. The airline boss sent across this warning due to the rise in crude oil price and labour cost. It was predicted by IATA, the increase in the fuel costs will be by 25 percent this year and the price of oil will account for 24 per cent of airlines’ total operating expenditure. However, it was unsurprising that the airlines would start passing on some of those expenses onto the passengers. The Air Passenger Duty (APD) tax was increased on all flight leaving UK with final destinations 2,000 miles away which led to furore from the travel and aviation authorities. It led to further argument that the UK business travellers were already paying the highest tax of this kind in the world. Across the industry the fuel and fare will increase and the growth is forecasted by 7 percent in 2018. However, IATA predicted a collective net profit of £25.3 billion in 2018 would be fetched by the global airlines. £285 will be the average return airfare (before surcharges and tax). The global spending on tourism is predicted to increase by 10 per cent £594 in 2018. Some experts gave tips for securing the cheapest flights available which includes making bookings through travel agencies rather than booking directly with the airlines. Keeping oneself updated onwhen is the best time of the year to book flights for the preferred destination. Αναρτήθηκε από geop στις 7:29 π.μ.